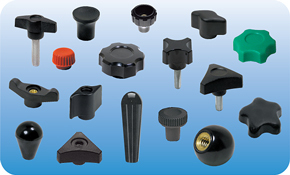 Electronic Hardware Corporation manufactures and distributes custom plastic knobs. 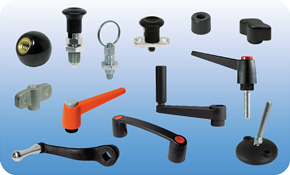 Electronic Hardware Corporation supplies the largest variety of Aerospace Plastic Knobs, Aircraft Plastic Knobs, Instrument Knobs, Military Knobs, Consumer Plastic Knobs, Control Plastic Knobs and Push-On Plastic Knobs, Custom Plastic Knobs in the USA. 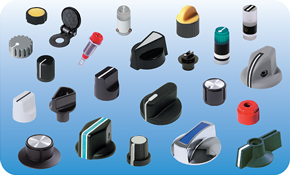 We supply Transilluminated/Illuminated Knobs, Backlit/Backlight Knobs, Casted Knobs, Metal Knobs, Machined Aluminum Knobs, Clamp Knobs, and Ball Knobs to Industrial, Aviation Plastic Knobs, Military and Commercial users including Medical Equipment Knobs, Lawn Care Equipment Knobs & Handles, Exercise Equipment Knobs, Laboratory Equipment Knobs, Industrial Equipment Knobs, Packaging Equipment Knobs, Thumbscrews, Wingnuts, Oval tapered knobs, Revolving knobs, Leveling Feet, Leveling Mounts, Spinner knobs,T-Handles, Metric Knobs, Material Handling Equipment Knobs, Hospital Bed & Equipment Knobs and Food Service Equipment Knobs & Handles. We engineer and design Round Knobs, Fluted Knobs, Dial Knobs, Pointer Knobs, Bar Knobs, Button and Slider Knobs, 3000 Knobs, Indexed Clamping Handles, Clamping Knobs, Adjustable Ratchets, Industrial Knobs, Industrial Components, Industrial Assemblies, MIL-K-25049, SAE-AS-7788, NASM3926, MIL-L-85762, Manufactured Assemblies and Industrial Hardware. Electronic Hardware Corporation manufactures and distributes all NSN's in Federal supply class (FSC) 5355 - knobs, pointers, and dials. Knobs that are in stock are shipped within 24 hours. 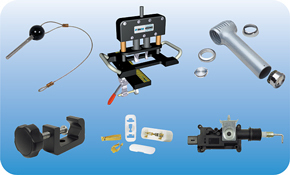 EHC is one of the premier knob manufacturers in the world. As an ISO 9001:2015 certified supplier, we provide services such as Engineering, Prototyping, Manufacturing, Procurement and Kitting to our valued customers.